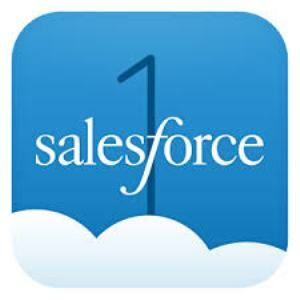 In addition, salesforce.com global alliance partners Capgemini and PwC have joined the Salesforce1 for Retail ecosystem to develop innovative new retail solutions built on the Salesforce1 Platform. According to the Senior Vice President of salesforce.com, Shelley Bransten, "The retail industry is undergoing massive disruption where brands that do not innovate will fail. With Salesforce1 for Retail, retailers can use the power of the Salesforce1 Platform to personalize the micro-moments that matter along each shopper's journey as they blend the digital and physical worlds." Salesforce1 for Retail: Build 1:1 Relationships with Shoppers Across Any Channel The retail industry is at a crossroads. In addition to brick-and-mortar stores, websites and mobile apps are becoming more pervasive and retailers need a strategy that enables them to connect with shoppers seamlessly across every channel. The proliferation of social networks and mobile devices provides new opportunities for retailers to create 1:1 digital experiences, but many are struggling with how to connect it all. Today, customers walk into stores anonymously and sales associates have no sense of their interests, past purchases or wish lists. With Salesforce1 for Retail, salesforce.com is delivering transformational solutions for retailers that leverage the power of social, mobile and cloud. Now retailers can get to know their customers better than ever before—from understanding the way they like to shop to their favorite color and the products they've pinned to Pinterest—to personalize every aspect of the shopper's experience—whether it's in the store, on a website or through a mobile app. In the hyper-competitive retail world, Salesforce1 for Retail enables companies to build 1:1 relationships with shoppers across every channel, increase customer satisfaction and inspire new levels of brand loyalty. Mobile Clienteling Allows Retailers to Create 1:1 Relationships with Shoppers: Technology has created more informed, more connected customers who are empowered with information. They can access competitive pricing in an instant, easily buy products from around the world and read in-depth reviews from other customers on a mobile device. To drive brand loyalty, retailers today need to connect with customers wherever they are, and deliver a consistent experience at every touchpoint. Instantly access a customer's browsing history and past purchases right from an iPad to make recommendations that match their style and budget on the spot. For example, a salesperson can recommend the perfect tie to complement a recently purchased suit. View a shopper's social profile to make product recommendations and offer discounts based on what shoppers are pinning and tweeting about. Now, a sales associate will know if a shopper in the store recently tweeted about a camping trip and will be able to instantly offer a recommendation for outdoor equipment. Create a virtual profile to track customers' birthdays and anniversaries. For instance, a jeweler will receive a reminder when a client has an upcoming wedding anniversary, so he can invite him into the store and recommend the perfect necklace or pair of earrings. Get up-to-the-minute information on inventory levels and product data right on a mobile device. With Mobile Clienteling, a furniture store associate helping a customer in the store can instantly pull up a list of coffee tables that are in stock and ready for delivery right on an iPad, instead of having to step away and check a terminal. Salesforce Communities for Retail Builds an Ecosystem Around the Customer Experience Customers, partners and employees all live in a digital world and want to be able to collaborate with each other and connect directly with brands to find the information they need at any time. Salesforce Communities for Retail enables retailers to create custom social and mobile communities that enable customers, partners and employees to connect with their brand and collaborate with one another. Customer Communities—Shoppers will be able to connect with a brand and each other to find answers to their questions, get personalized product recommendations and access a retailer's latest promotions, all from their mobile device. Customers can now easily build a relationship with a brand that extends well beyond the physical store. Partner Communities—A retailer's network of merchants, distributors and suppliers will have instant access to inventory data, a knowledge base of articles and the ability to collaborate with one another to get answers to their questions and drive greater efficiency across the supply chain. Employee Communities—Retail employees will have a single platform where they can collaborate more effectively with one another regardless of where they're located. Marketing teams can share campaign best practices across geographies and sales associates will be able to collaborate with one another and access training documents, handbooks and best practices to help them deliver exceptional customer service. Capgemini and PwC Join Salesforce1 for Retail Ecosystem Capgemini and PwC are leveraging the Salesforce1 Platform to build innovative new retail solutions and deliver deep expertise that enable retailers to manage their business in the cloud and leverage the power of social, mobile and connected apps. Capgemini ClientAssist helps store associates upsell and deliver a better and more intimate level of customer service, resulting in increased shopper satisfaction and loyalty. PwC's Total Retail Clienteling provides an integrated and personalized customer experience across store, social and mobile channels.